RSD is the largest independently owned refrigeration parts and HVAC equipment wholesaler in the western United States. We have been serving the west since 1907, recently celebrating 112 years as a company. RSD has grown to include 79 locations covering 10 western states, including Alaska, Arizona, California, Colorado, Idaho, Montana, Nevada, Oregon, Utah, and Washington. This is the story of how it all happened. Being a family owned business, we hold our history in high regard and with gratefulness to the ones who came before. Back in 1907, the Starr Piano Co. (parent company to Gennett Records) opened a Pacific Division in California. Its purpose: to retail anything manufactured by its factories in Indiana. It was a daring decision by Henry Gennett to go clear across the United States at a time when travel was both long and dangerous. 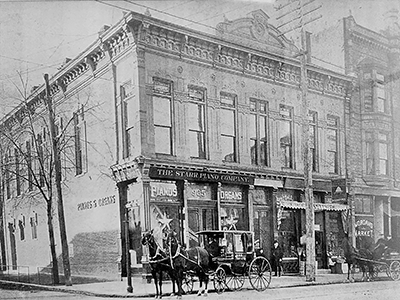 Located in Richmond, Indiana; the company had sold pianos since 1872. In the early 1910's the phonograph began to "displace the parlor piano as the primary entertainment in the home…[so] Starr took advantage of its mechanical and woodworking facilities to add phonographs and phonograph records to its product line." (Starrgennett.org) They even had their own recording studio in which up-and-coming jazz musicians could record their music. Things were looking up for the Gennett family. Then The Great War hit â€” sales dropped and the company almost went out of business. The whole of America was chipping in for the war effort, and Starr Piano was among them. In a time of crisis, it used what little resources it had to manufacture propellers as well as barrage balloon valves for the country. When it was all over and the dust settled, business resumed and Starr focused on its recording label. Most notably, Louis Armstrong laid down a few sides with Gennett Records when he was just starting out. When the Second World War came around, the factories were made useful again by producing caskets and shell casings. On the other side of the country, Henry and his sons saw the tides of business changing and jumped right in. Piano sales were declining and "to compensate, the company diversified again, but this time away from music. It used its mechanical facilities to produce refrigeration equipment. That sideline made sense despite the hard times. City-dwellers, who had home electrical service by then, were rapidly replacing their old-fashioned ice boxes with refrigerators." (Starrgennett.org) By the time the company officially closed the chapter on pianos, 350,000 Starr Pianos had been crafted. 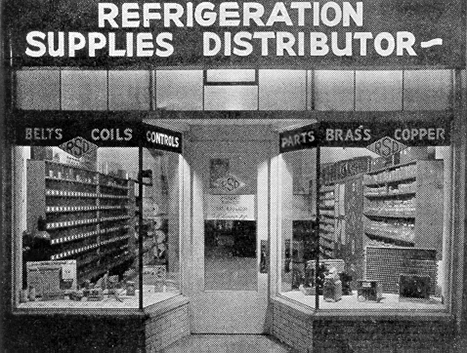 Starr eventually ceased the manufacture of refrigeration products in the early 1940's, but the Pacific Division's refrigeration wholesale business continued by becoming a distributor of parts and supplies made by other manufacturers. On January 26, 1978, the directors of the company voted to officially change the corporation name from The Starr Piano Company, Pacific Division, to 'Refrigeration Supplies Distributor'. A lone piano still stands today at the corporate office in California, as an account of just how far RSD has come. Never forgetting his legacy even now, the company is still run by the decedents of Henry Gennett. As for The Starr Piano Co. and Gennett Records in Indiana, "by 1990, all but one of the vacant factory buildings had been razed. The survivor was stabilized, re-purposed, and renamed. Now called the 'Starr-Gennett Pavilion', it lives again in Richmond's Whitewater Gorge Park. […] Here they celebrate the legacy of Starr and Gennett through concerts and annual music festivals as well as new and reissued recordings." (Starrgennett.org) The song may have ended for Starr Piano, but the melody will linger on for generations to come. Dahan, Charlie B., and Linda Gennett Irmscher. 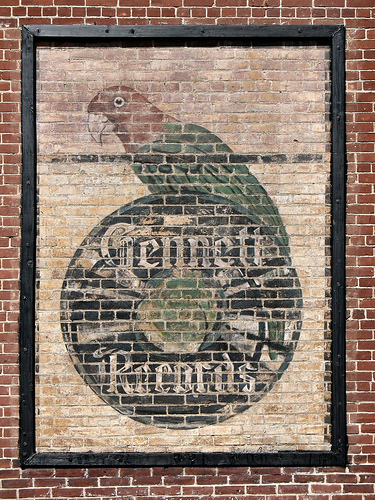 Gennett Records and Starr Piano. Arcadia Publishing, 2016. Book. Starrgennett.org, Starr Piano and Gennett Records. n.d. . While doing business today might differ from doing business in 1907, the philosophy of the company has not changed. The values that RSD believes in have always been simple and deeply engrained. Family ties are a priority. Being neighborly is a matter of course. And "do unto others" is not just a saying but a way of life. RSD believes "The Golden Rule" and we make it the foundation of our business. In an increasingly competitive industry, RSD still strives to set the mark for customer service. Celebrating 100 years in business, RSD continues to serve customers with knowledgeable employees who are highly customer-focused for the industry. Employees are trained to take the time each individual customer requires to feel valued - whether through the mail, on the phone, by fax, over the Internet, or in one of our many branches. Each employee's goal is to ensure customers a consistently superior service experience, no matter which channel they choose to shop. Our success has been built on honesty, quality, dependability and a guarantee of 100% satisfaction. Get the latest events, training, promotinal items information and more. Need to get in touch with us? Find out more information on how to contact us.